This adorable "Thank You Santa" plate is the perfect plate to leave cookies on for Santa! 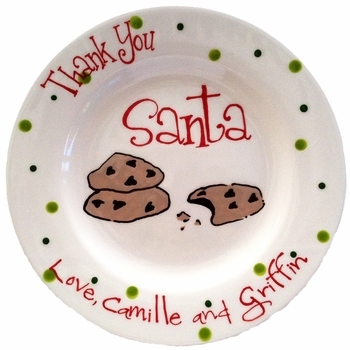 It is hand painted, so it can be customized in any way you may like. This makes for a great and special gift as well, to use for years to come.